But for a lot of our fellow filmmakers and especially those who are looking to get into wedding filmmaking the question of what gear we use is quite an important one. You will often see some superstars rave about a particular piece of kit but it’s hard to know if they actually like it or if they are just fulfilling their sponsorship requirements. Here at Minty, every bit of gear we use is because we like it and it’s the best at doing its job. For us anyway. Like many, we made mistakes at the start and bought gear that we didn’t really need or didn’t necessarily compliment the other gear as well as it should have. To start with, we will just give you a list of all the gear in our kit bag and a little later in this post we’ll talk a little about why we use that over something else, the benefits it brings to our shooting and any possible downsides. All of this is aimed at giving you the info you need when you look at refreshing your own kit list. Lets now talk a little more about why we made the selections we did for MintySlippers. We went with the C100 as they were just the natural next step up from our previous DSLR cameras. The same great look but sharper, cleaner and with a low light capability that makes shooting in a cave a dream. A single BP-975 battery will last you for an entire day of shooting, with the camera only being turned off when not in use for long periods and using lenses with IS. It features dual recording which has already saved our bacon. In slot A we have a 64gb card which can hold around 6 hours of footage. In slot B we have smaller 16gb cards which we change after each major part of the day. This gives us a single card at the end of the day to capture with lots of smaller backup cards should anything go wrong. We talk about how we protect your memories in another blog post. The other reason we change cards and not just leave 2 large cards in the camera is because of safety. What happens if someone steals your shiny, tempting camera? It’s the age old ‘don’t put all your eggs in one basket/camera’ analagy. We use Kingston cards as they are cheaper than Sandisk, carry a lifetime warranty. They function just as well for a 3rd of the price. So far we don’t really have any bad points. The camera is a little heavier than a DSLR with battery grip. We remove the top handle as it can add quite a bit more weight. While the C100 has been now been replaced with the C100 MK2, it doesn’t offer anything more to our storytelling and at the time of writing, 4K quality was still a little way off. Most 4K cameras have really poor low light performance and are often a little too expensive. The 24-105 f4 has IS which is always useful, and with the C100’s amazing low light capability the loss of a stop or two of light isn’t a deal breaker. The wide angle and IS means it’s great for riding along with our grooms or when we have to be a little closer than usual, like when we are under a Chuppah at a Jewish wedding but still want that zoom lens flexibility. The canon 70-200 is just an amazing lens and the IS is a must for video work. I would say we spend around 60% of the day on this lens. The main reason is the look. The look it produces is simply stunning. The sigma 35 f1.4 ART series lens is unbeatable. The canon equivalent is a little long in the tooth and is due a serious update but will it ever be able to compare to the Sigma ART series. It’s sharper than a ninjas best set of cooking knives. I like to use this for the groom prep and in the evenings while Julie likes to use the Sigma 50mm f1.4 ART for the bridal prep and a few portrait shots. Now a question we get asked a lot ‘MintySlippers doesn’t use Manfrotto tripods!!???!!???!?!?!!!!’. Yes and no. You don’t want your tripod to be too heavy but you also need it to have a few features that sadly the Manfrotto and other big players lack. We use Manfrotto heads on a Velbon set of legs. The Manfrotto 502 head is an amazing bit of kit and designed for these C100 cameras. They are solid and smooth although have a huge downside, they moved the locking knob from the left to the right and for many they are holding the handle with their right hand and have to release that to lock it off. Seriously Manfrotto WTF!!!! Your messing with my mojo! Anyway, back to the Velbon legs. Weighing in around 1kg less than the Manfrotto equivalent and costing just £89 for legs with a fluid head (more on that in a moment) it seems like it’s too cheap to be any good. Given most Manfrotto or Sachler legs will set you back several hundred £££’s. They have the ability to be small and compact for those times you are stuck up by the choir, or can be wide and stable for those times where you need it. There is a middle spreader so each leg can be adjusted to their own individual height, again great for when you are in the choir and have a step to negotiate. They also have one of those little windy handles to raise it up when needed. Something which higher end tripods lack but is sooooooo useful. You need to quickly crank up the camera to shoot over the top of Brian May’s hair and get the shot (true story), you just release the lock, turn the handle and the rock gods locks are no longer an issue. The fluid head supplied is no good for your day to day shooting but makes a great head to put on your slider. So for your £89 you get a decent set of legs and a head you can use. Speaking of sliders we have settled on a Cinevate Duzi and are quite happy with it. It’s small and light and buttery smooth. My own criticism is it’s lack of a friction brake so in a way it’s too smooth. For that we have to use our finger to slow things down. We selected the Zoom H6 as our main field recorder for a few reasons. We were familiar with the Zoom brand and reputation and workings, it has 4 XLR inputs (and with the plugin module can handle 6) and given we sometimes use 3 wireless units and take a board feed at the same time this meant we didn’t have to tie up 2 H4N units to do the same job. It has a PAD function for when you plug into a DJ’s soundboard. The Zoom H4N, H6 and other units always expect an un-amplified input. This is why when you plug into a DJ’s board you are often lowering the volume all the way down and it’s still too loud. By activating the PAD switch your telling the H6 to expect an amplified input and adjust things accordingly. The H6 has a great feature that each input can now be controlled independently. So quiet reading on input one can be set to level 6, loud priest on level two can be set to level 4 and so on. This is also a curse as with the H4N you could use the rocker to dial the volume to precise levels and even down to 0.1 if needed. With the H6 level changes are quick but less accurate. As with the H4N it features a number of limiters, compressors and low-cut filters for filtering out wind noise and air con units but this is also another reason for me to get on my soap box. With the H4N you could change the low-cut filter while recording so you could dial in the exact level you wanted to get a clean feed. With the H6 you need to STOP recording to apply a low-cut. You then set it, see if it’s better and then change if needed and only then can you start recording again. A real problem for when your filming and the air-con comes on half way through your ceremony and you need to apply your low-cut filter. Again, Zoom WTF!!!! We use Wireless units as it means we can monitor the audio and ensure the groom hasn’t turned things off while he takes a whizz or pulled a cable out. We also carry Sennheiser G2 and G3 units on different bands. This means we can often tune our receivers into the venue/church wireless and pick up their feed so the priest doesn’t need to wear another lav mic. We still have a G2 unit even though the frequency is re-allocated as many churches and venues still use this for their own transmitters so this allows us to pull their feed. We still use the analogue versions over the digital for the reason that we can often use the same equipment to tune into a venue or church system. Many venues still use the G2 system. We use the Zoom H1 as a grooms pocket recorder and connect it to a Sennheiser ME2 microphone using an adapter cable that takes the ME2 screw thread and converts it to a normal jack. This means the groom is wearing 2 mics for the ceremony. One wireless back to my H6 and one wired. This covers us for any failures or interference that may happen. The H4N is our lectern/ambient mic. We use only 4gb cards in the H4N as it speeds up boot up time. Ever noticed how your H4N takes an age to boot up? I bet you have a 16gb or 32gb card in there. Swap it out for a smaller card (and a 4gb will last you all day if thats your thing) and you will notice it’s much MUCH faster. This problem does not affect the H6 but we still use small cards as we swap them out after each part of the day. We also have a Sennheiser SKM100-845 handheld wireless mic. This unit features a superior capsule over the standard SKM100-835. We use this to place in front of readers who we cannot mic up and often will replace an entire venue sound system with our own wireless unit as it’s 80% of the time of a better quality (sorry venues) and it means we can tap in. All we have to do is move the XLR cable to our receiver and that’s it. No knobs to fiddle with and get told off. Our Radial Pro MS2 XLR splitter is for those locations where we cannot obtain a wireless feed or plug into a soundboard. Micklefield Hall is one of them so we simply intercept the XLR cable where it plugs into the wall and into our splitter. One feed for the venue, one for us. Yummy! 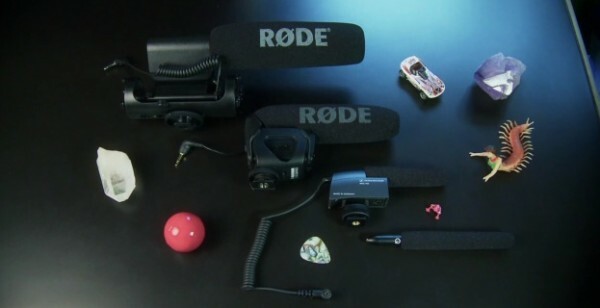 Another question we get asked is why the Sennheiser MKE400 and not the Rode VideoMic Pro? For us we like how small it is, especially when compared to the Rode. We use the C100 and DSLR as it helps us not stick out too much and makes our couples feel more at ease, not something you can do with a great big mic. The size also means the Rode catches a lot more wind when using a Steadicam or similar device. The Sennheiser is made from metal so is solid and the shock absorbers are not something that will just snap over time. We are also very happy with the audio quality compared to the Rode. It’s more expensive by about £100 but worth it in our opinion. For our lighting we settled on the LEDGO Bi-colour lights. These LED panels can produce either daylight or tungsten equivalent light colour so you can better match your ambient lighting. You can join the panels together to boost your lighting power, apply the included filters to soften or change the colour further. They run off of AA batteries or standard Sony NP-F batteries. They are perfect for video as you don’t get the usual LED strobing you can get with cheaper photography lights and a kit of 3 lights in a hard case costs the same as a single Manfrotto light panel. For the love of god you don’t need to buy Manfrotto lights. They are greatly overpriced. On a wedding day we only ever take 2 panels with us. We setup a key light and fill light setup as we don’t want to light the evening as if it was a football match. I think these things warrant their own little section. Typically, event shooters will use Alkaline AA and AAA batteries with their gear. We used to but to keep costs down you don’t replace them before each shoot. Which means levels can get a little low and it’s often a gamble to turn up and hope things last out. Rechargeable batteries are a great way to ensure that at the start of each shoot all your gear has fully charged batteries. They also save you money too. We like the Eneloop over conventional Ni-MH rechargeables as they have a few advantages. First, they don’t lose charge when not in use. Not at the rate of normal rechargeables. With a typical Ni-MH rechargeable you can have a battery that’s almost dead if you haven’t used it for a couple of weeks. Eneloop keep their charge and only lose a few % each week. They also have a longer lifespan. Normal rechargeables can lose 60% of their capacity after the first year alone. We used to replace ours each year. Eneloops loose just 30% of their capacity after 5 years. Our 3 year old batteries are still going strong. And finally comes recharging. To recharge a normal rechargeable AA you need to let the charger run for around 10 hours. This happens if the battery is 90% full or 1% full. With Eneloops their chargers are smart chargers and only apply as much charge as needed. This means we can top up all our batteries (34 of them) in a single day vs over the course of a week. Another little fact, if you ever buy any AA batteries from Apple for your magic mouse or wireless keyboard they are just rebadged Eneloops. If you do use rechargeable batteries in your Zoom audio device there is an option in the menus to tell it they are Ni-MH and this gives you a more accurate battery reading. I’m Danny and I’m the super techy one. I can code a web page or tell you all about the latest tech. Just don’t ask me any business questions. Those are best left to Julie. We always like to hear what your views are on gear. What do you like? Why do you like it? Ask or comment here and we will be sure to reply. Hi Gerry, no problems here and we use a lot of them. If you are just putting the film on physical media including bluray or USB then you can buy a PPL licence per copy and use anything (yes, absolutely anything) you like. You get this from the PRS for music website (plus you need an MCPS licence for each event you film. This applies to the UK only. If you are putting anything online or are outside the UK then things get a little messier. The music industry to this day still likes to pretend the Internet doesn’t exist. Your PPL doesn’t cover online distribution. Just physical media so you either licence each individual song. Which for any popular song is £10’s of thousands upto £100’s of thousands. Or, use a site like The Musoc Bed or Song freedom to licence something for a more reasonable fee and which is pretty decent. Everything on our website is licenced from one of these sites. With the exception of Meredith and Shoeshona which was licenced via Marmoset Music. It all costs money but its all something you just factor into your priced. Or, if your trying to sell yourself for the lowest price possible then don’t licence and take the risk. But quite a few have been caught and hit with £100,000 fines. Thanks for this great insight on your wedding kit. For some reason, I never put much thought into wireless microphones and always recorded audio separately. At the moment, I use a mix of Sony TX650 mini dictaphones and Tascam DR-10L to acquire audio. Instead of getting a feed from the audio mixer, I generally just tape one of those Sonys on to the handle of the microphone as backup audio. We could just put it all through the cameras and have nothing to sync. But we like having the freedom of every mic into a seperate channel and sometimes we can have 4 radio mics (6 is our record). It also records in an uncompressed WAV file so we get a lot more to play with in the edit should we need to do any major audio processing. It also means the audio equipment can be left attached to the tripod. Otherwise you end up having a camera with attachments all over it that you have to remove. As we are very run and gun I can go from Steadicam to tripod instantly and not have to hook up a million things or overload my steadicam. When done I can remove the camera and leave my no2 to then packdown the gear.